If you’re a designer worth half your salt, poor stock photography just flat out offends you. Why? Because it’s stiff, unrealistic, and overall super unengaging. I mean, you can’t possibly tell me your customer service reps are that happy to be sporting their headsets. Come on, folks! Well, after all of these years, Google finally agrees. Last week, Google’s John Mueller commented in a hangout that it’s worthwhile to have unique images on each of your pages and showing that original imagery is not only a good branding move but possibly an SEO one as well. The SEO deities have spoken! Provided that companies have the resources (physical equipment, photo editing software, and the ability to edit your own website), creating and using your own unique images should help with image search traffic and even get your image featured in the one box image result. 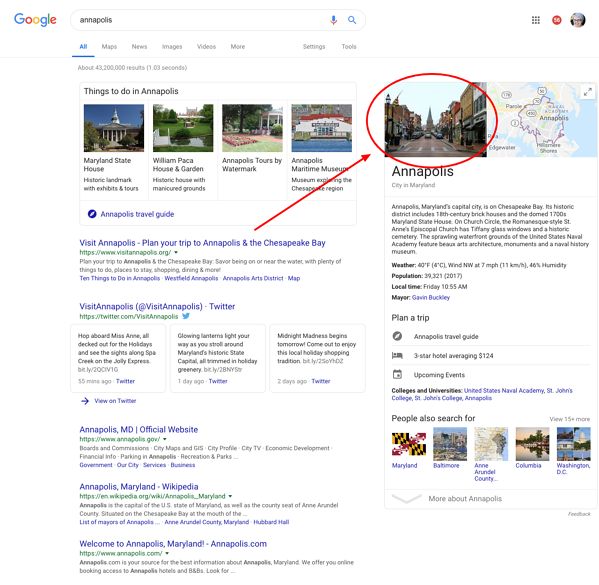 Before you get down to planning out how to replace every image on your site with something authentic and custom, know that Mueller did add that the image swap will not help you rank directly with web search, but it is a piece of the puzzle. So, having original images on every page of your website isn't going to skyrocket your site to position zero. But, it may help you to get your images featured in the one box image result, which is great brand exposure. It’s time to reevaluate all of those images on your website you said you would come back to later. The Content Strategist recently reported that 53% of survey participants are planning to use their website to engage their audience and 66% are expecting to accomplish this with photography. It’s been two years, those stock photos aren’t just a placeholder any longer. Does this image have the same look and feel of the other images on my site? Does it have the same color tone as other images? Are people dressed authentically and similarly? Is this image similar in shape and size to others on my site? Is this an authentic image of our product or of our team? Do I have permission and/or a license to print or publish this picture? If your answer to any of these questions is no, add a new tab to your visual content inventory. Create a list of the resources you’ll need and where you plan to place them on a page. Your copy should give you all the context you need to create a very defined shot list for future use. Get to work! Grab your iPhone, your fancy DLSR, or call that photographer friend of yours. Just like creating content, start somewhere. What Is Backlinking & How Does It Help Marketers? Google’s Algorithm v. RankBrain: What’s The Difference? Google's Now Telling Users When You're Live Right On SERP.